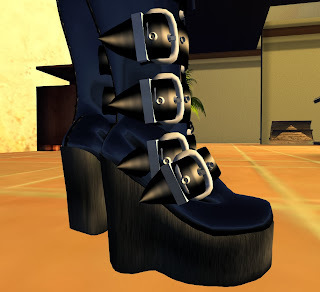 Personally, I think that Second Life (SL) needs to focus on designing an online application where a new user can sign-up with Second Life and run the virtual world directly in their web browser without having to install and learn to use a client. I think that the browser version could have minimal buttons/options and maybe those options could be selected by the system when you sign-up by asking you what your interests are. 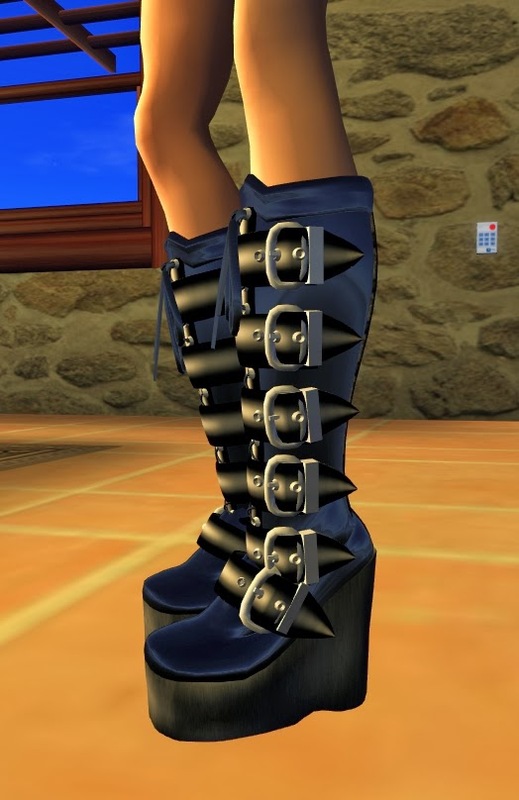 If you type/select "music", then the site could place some bookmarks on your SL web browser to popular music clubs, concert venues, and maybe even placing you in an open group that likes to discuss music in general. 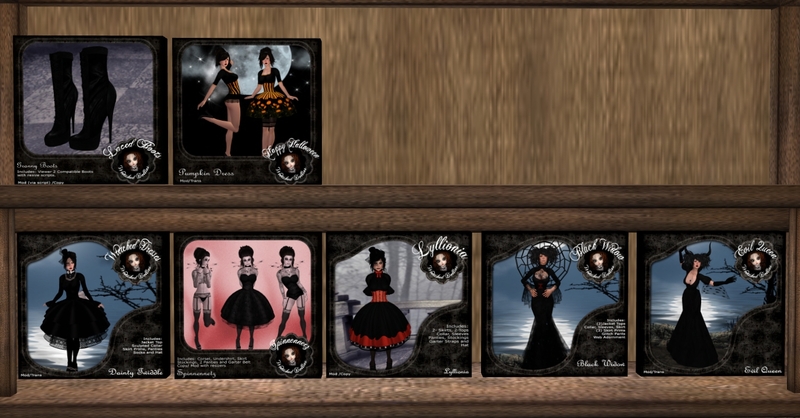 This could also work for those that are into fashion by letting them know about some up and coming fashion shows in-world, placing bookmarks on their SL browser to some of the popular clothing stores, and also putting them into a clothes designing/fashion group. I'm wearing the mesh Boo Jacket from [Gang/Cold]. This cute jacket is $169L and comes in your choice of hot pink, green, red, purple, blue, black, and gray. 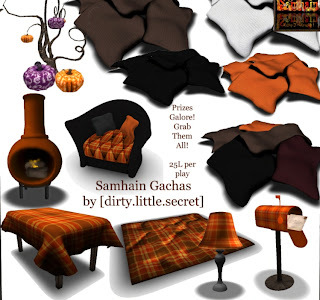 Check out the Second Life photos that I've shared for this week. I discovered these ornate Japanese music boxes today at the TRC Mall. These are made by Panda Panda and both play beautiful music. 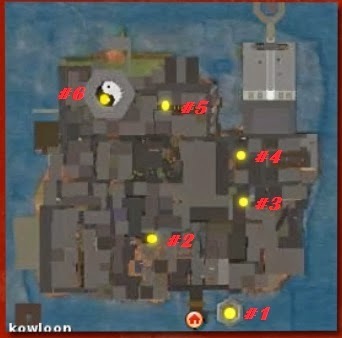 Please make sure that you teleport over and click the boxes to listen to the music that they play. 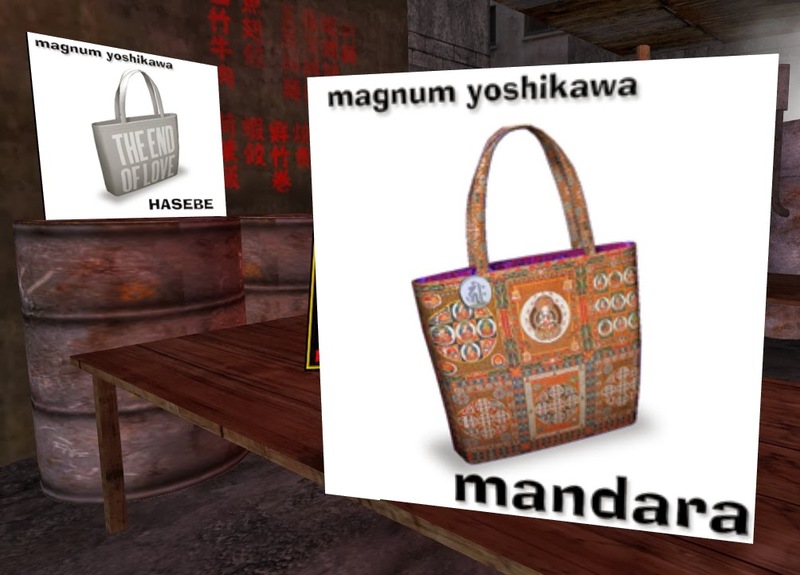 I decided to share some of my Second Life photography with everyone. It's just been sitting in my computer and I haven't really done anything with it, so why not share it with the world, right? 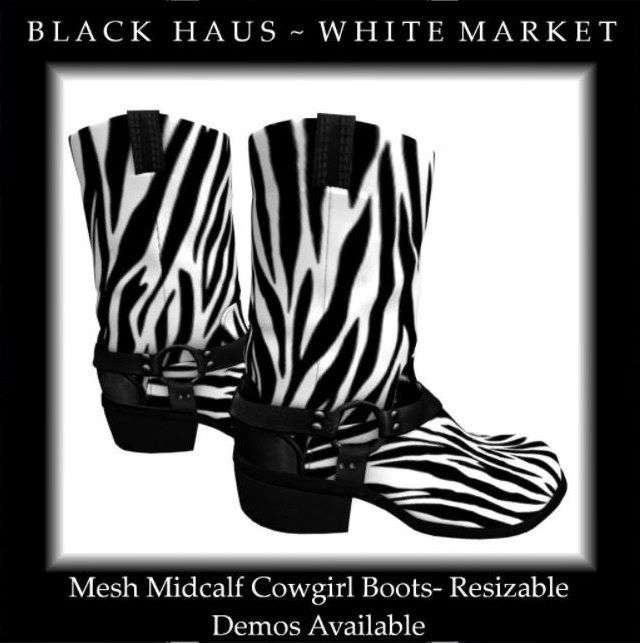 Black Haus ~ White Market has these awesome mesh cowgirl boots for only $99L! Hurry over to the store and try out the demo. 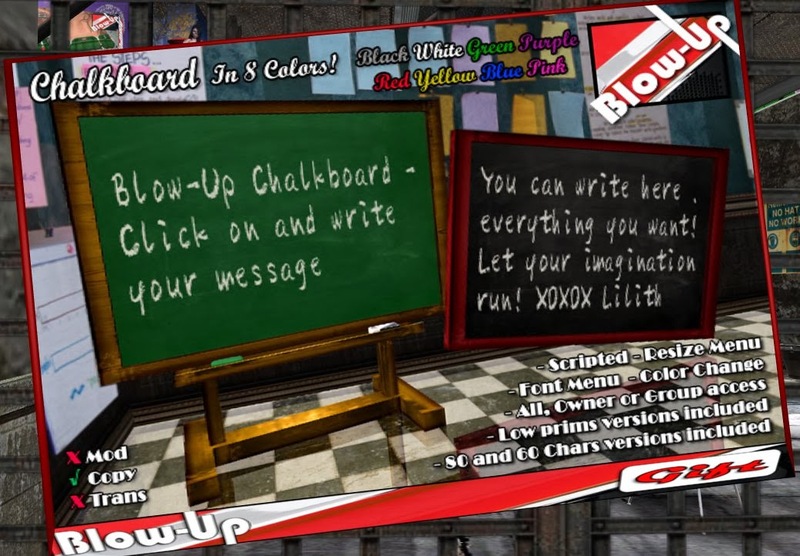 You and your friends can write whatever you want on this cute chalkboard by Blow-Up. It's only $250L and comes with a color, font, and resize menu built in. The Tote Bag Festival is still going on at the Kowloon Sim. There are 6 locations throughout the sim where you can pick up some adorable totes and the best part is that they are all FREE! The only catch is that you have to find them! 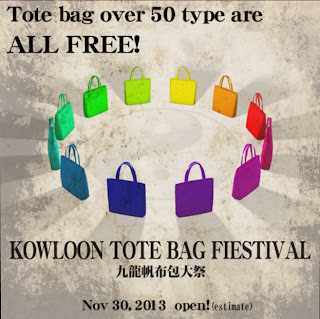 Here are some totes from each location and a numbered map to help. 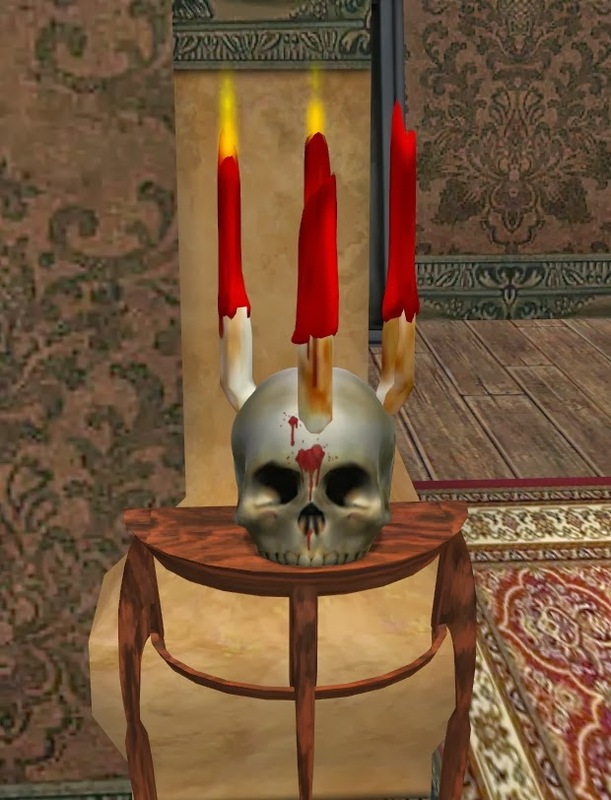 Wishing you a very happy (and creepy) New Year! What do you say that we get the new year off to a very creepy start? 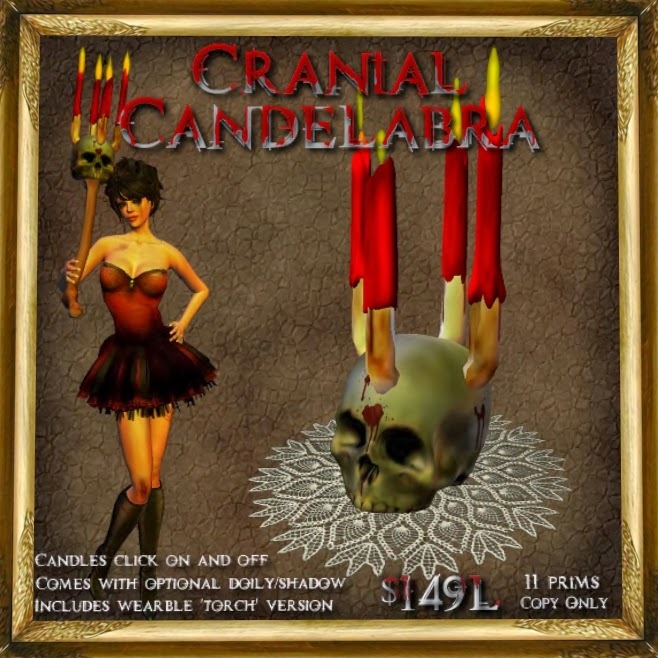 First up is the "Cranial Candelabra" for $149L. 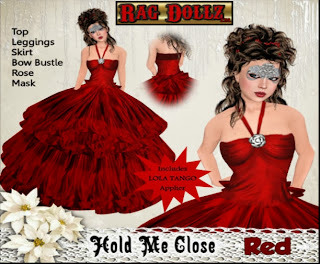 A Netherworld & Moonshadow Skins is having a closing sale. 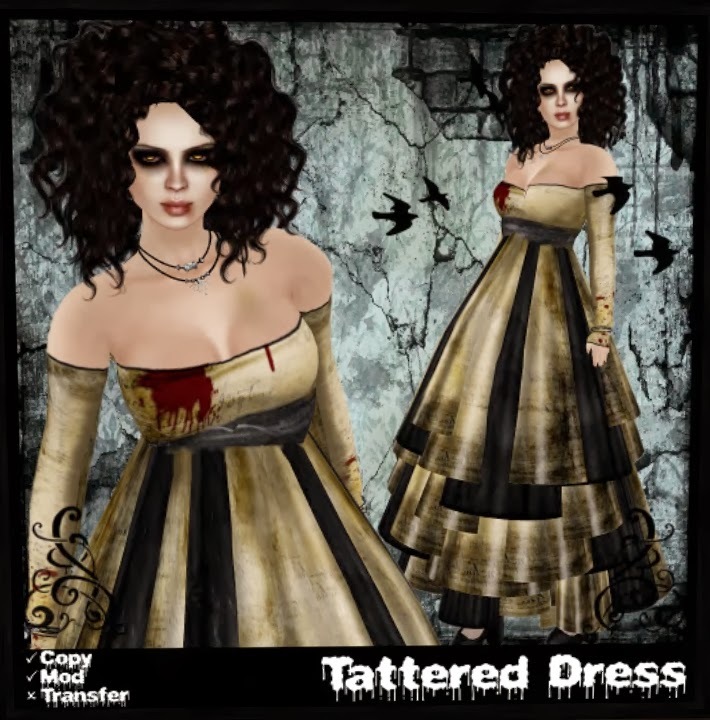 All items are as marked down as follows:Clothes $25L or less,Skins $50L,Houses $100L or less,and much more! Below are some pictures of what they have available. Hurry, the sale ends Dec. 31st! 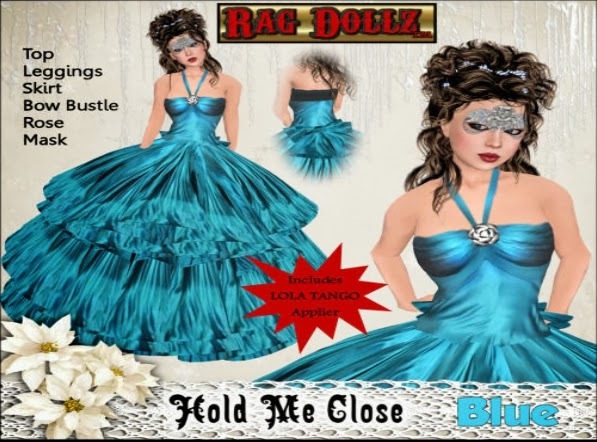 Check out this list of deals on gorgeous dresses for the week of Dec. 22nd. 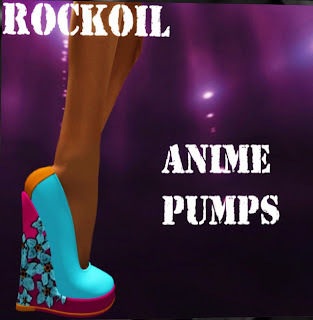 Recently, I stopped by Rockoil and picked up these cute "Uniform Boots". 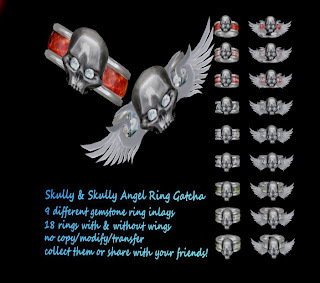 They're sculpted and come with a resize script. Get yourself a pair for only $100L. There are still some Gacha's up at Zero Cool Designz. Head on over and check them out before they're gone! They range from $20L to $50L. Put me in the middle of a Halloween shop and I will spend ALL of my money. Halloween isn't a National Holiday, but it really should be. 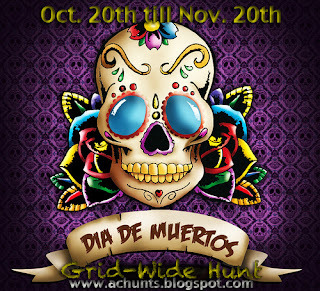 In fact, make the entire week Halloween and I'll be in heaven. 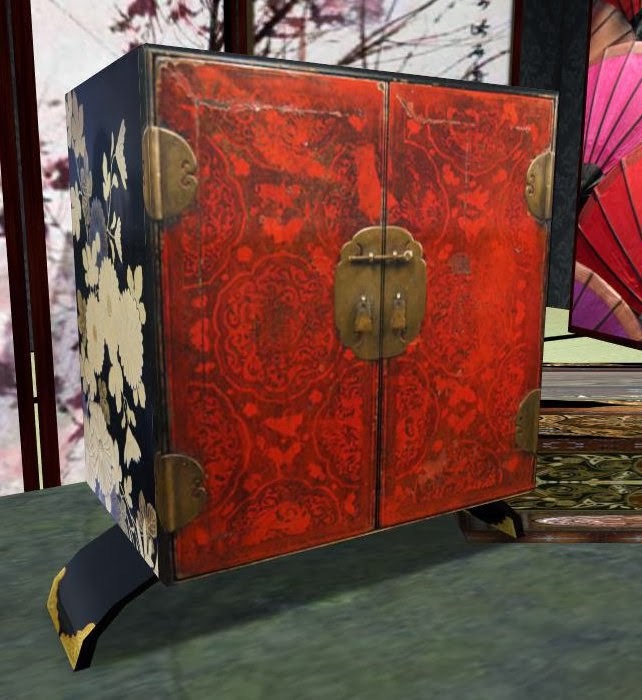 So, naturally, when I heard that there was a Halloween Cart sale going on, I teleported right over to check out all the goodies and spend all my Lindens. Here's some pics of what they are offering. Naturally, the sale ends Oct. 31st. Wretched Dollies has put out some clothes that are perfect for Halloween and most of them are $250L and under. I own a regular 512 plot in Second Life and I, like most people, can't (or refuse) to spend money on a larger parcel of land. 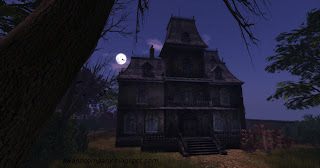 So, I decided to put together a list of some of the most awesome 512 houses/skyboxes to purchase on the Second Life Marketplace. Since the theme of my blog is "250L and under", I tried to keep within that price range; but some of the them may not be. I felt that I couldn't dismiss a build that was blog worthy because it didn't fit within that price range. These builds were chosen because I felt they were beautiful builds and/or the interiors rose above the average. 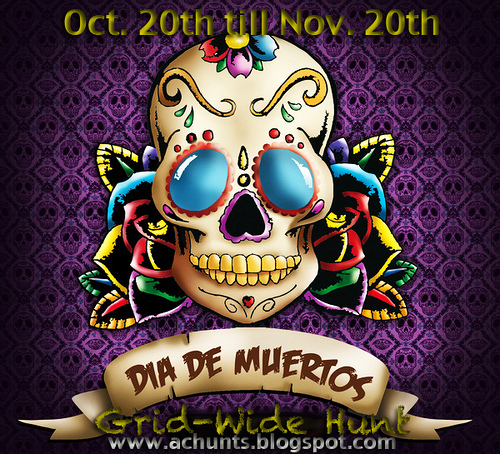 The "Dia de Muertos Hunt" starts Oct. 20th and ends Nov. 20th. 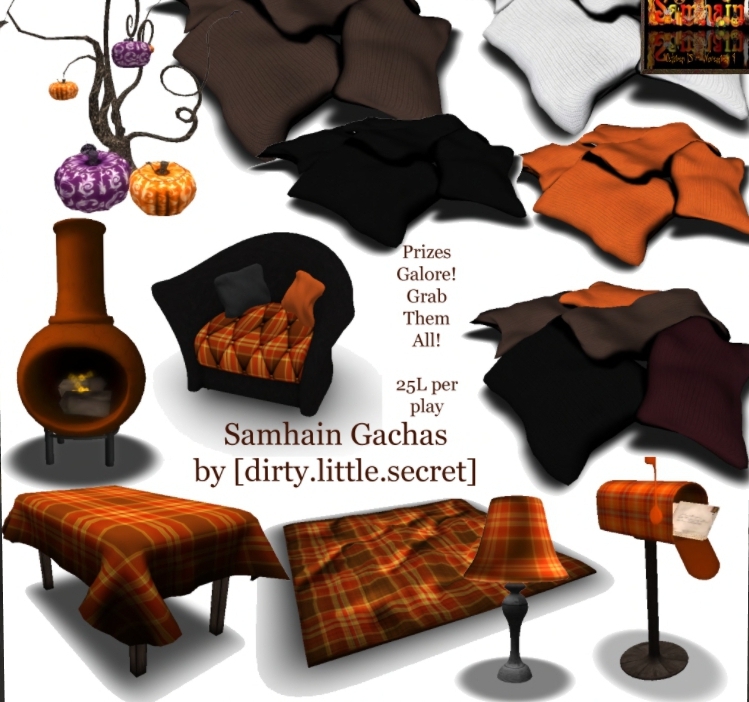 The Samhain Gacha Event starts Oct. 15th and ends Nov. 4th on the Tamire sim. Here are some pics of what they have to offer. Click photos to enlarge. Ladies. 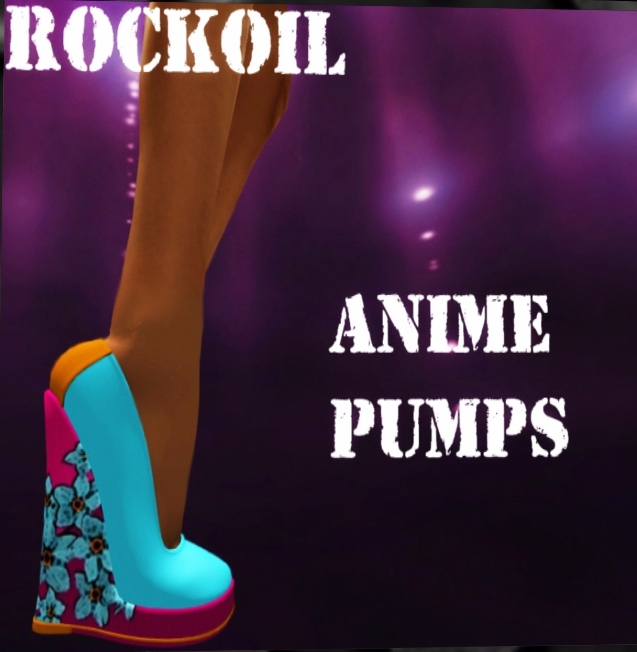 Are you in the mood for some new shoes? I recently took a stroll - okay, a SCREAMING RUN - through the very haunted Hackberry Hall. Hackberry Hall is a dark-looking, but magnificent, 3-story mansion full of ghostly skeletons, shattering mirrors, and other things that go bump in the night.